It’s Diabetes Awareness Month, or as I like to call it, Diabetes Throat Punches me Every Time I go onto Facebook Month. Everyone is doing an amazing job of posting. My newsfeed is full of picture after picture; story after story, PSA after PSA…all good things! After all, it’s education that is much needed. Diabetes has a lot of awaring to do, for sure. I always start day one of November with the best of intentions. I want to educate. 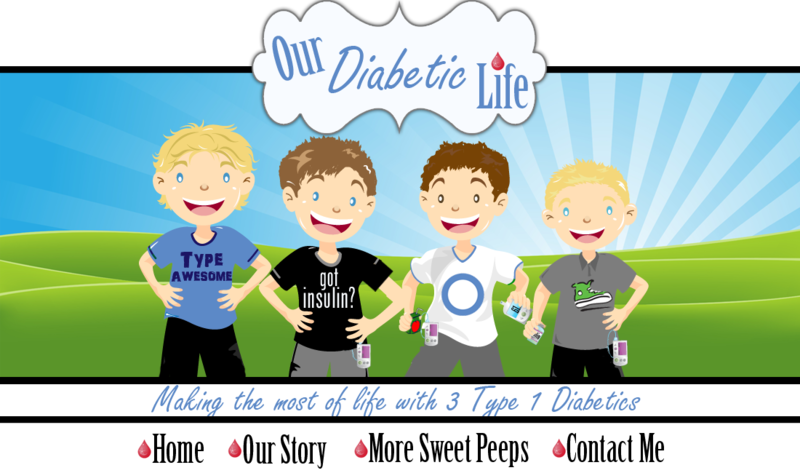 I want to show the world the work, the dedication, the pain, the all-the-time of Diabetes. I want to be a good advocate! I also want to hide. I want to curl up in a corner and pretend the seriousness of Diabetes away. I want to live in a world where Diabetes isn’t a big deal. I don’t want to think about my boys’ lifetime reliance on insulin. I don’t want to think about what could happen if one of us messes up. 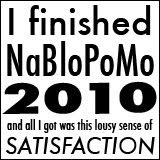 I fee guilty that I feel this way. I feel guilty that this month overwhelms me so. Because it is my job to advocate, making the world a kinder one for my children. Facebook is a double-edged sword for me. One side I find relief, acceptance, and “me too.” On the other side I find Diabetes everything: A constant reminder that this thing will always be there. A constant reminder that there is no cure. A constant reminder that this disease is hard, physically and emotionally for my boys. I’ve been able to temper my brain into accepting only enough information and emotion so I can successfully rally through each day. But when Diabetes Awareness Month rolls around, the information overfloweth and my brain swelleth. It makes me feel everything harder. I already feel enough. My feeling cup is full. Don’t worry…I see it. I need to stop this post now. Anyhoo…thanks for listening. I’ve gotten out all my angst and I will now post this and go back to reading my newsfeed with my mascara close by for easy reapplication. Thank you to all of you who have the strength and fortitude to post your stories. I know they make a difference. I hope I can get over myself and make a difference too. LOVE your analogy about diabetes as a family member that won't shut up! And, I totally get what you're feeling. I think we all cram diabetes into our "bad stuff" box so we can function on a daily basis. But this month, everyone is opening that box and dumping it out for the world to see. A necessary evil, perhaps (especially when we ask for research money), but not easy to see out there in plain sight. Thanks Meri for sharing this. I feel the same. I feel like I have to share but I don't want my shares to feel like the 'please help this dog who has been in the shelter for 2 years' posts. I post most of my diabetes thoughts on my Stick With It Sugar page to avoid bombarding my normie friends with diabetes. I will never forget an old high school classmate back in 2009 that had hid my posts because he didn't want to hear about diabetes. I didn't know he hid my posts until my account was hacked and private messages were sent to all my friends about weight loss from my account. Another friend told me about it and I posted on my page not to open any messages from my account. The high school friend didn't see the regular post and then sent me a PM yelling at me for sending him a virus. That is when I learned he hid my posts. I unfriended him which is what he should have done in the first place if my posts bothered him. But since then I have tried to keep the diabetes education to a minimum on my page. I always respect your ability to take care of you first. Recognize your own limitations and protect your own sanity. It is a great gift to know ourselves so well that we can take action to protect ourselves and share those concerns with others who very likely feel the same way but haven't identified where the stress or anxiety is originating. I was quiet for so long I want to be vocal. I will not vocal for many years, someday soon i will go back to cocoon. It is only a matter of time I am sure. but right now I am loud and proud. 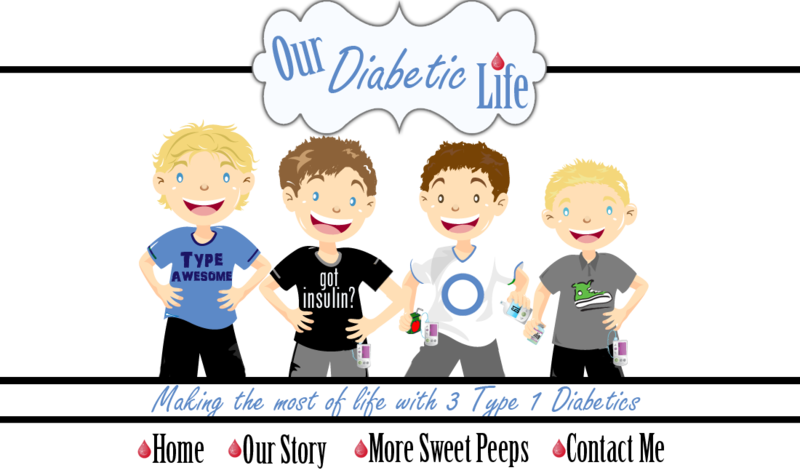 Dear Meri, thanks for sharing and the amazing job you must be doing every day to raise three sons with T1D. I only have the one, and although I'd gladly clone him, I realize that I was pushed to my limits on many days. Thinking back and describing it to others, I'm astonished how we made it through. Kudos to you, you are an amazing mother, person and role model. If anyone in this world deserves a break, it's you. Be confident and be well.